The Grammy Awards never fail to produce a little bit of drama and the 59th Grammy Awards tonight in Los Angeles didn't disappoint. 1. Let's start with the fashion, or lack thereof. 2. 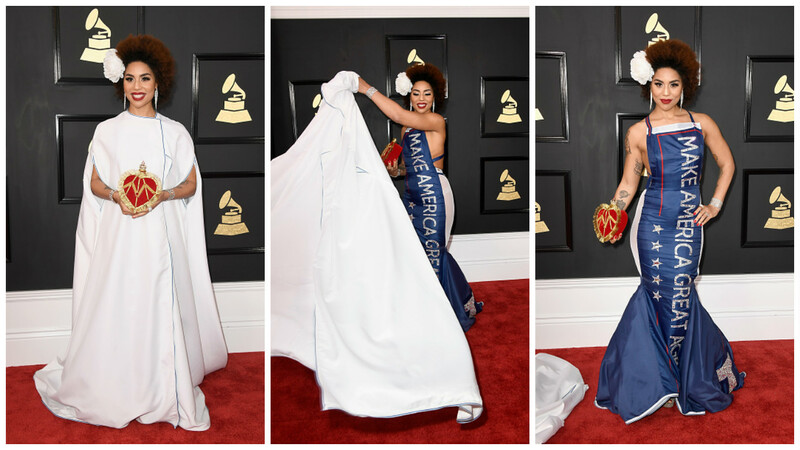 A 'How To' Guide In Alienating People by Joy Villa. This won't back fire at all. 4. Rihanna's secret performance went down a storm. 5. TØP pulling their trousers down and this guy getting creeped out. 6. Rihanna swigging from a diamond-encrusted hip-flask throughout the duration of the evening. 8. This Awkward AF group Carpool Karaoke rendition of Neil Diamond's "Sweet Caroline"
9. Blue Ivy taking a few moments from listening to her mother's acceptance speech to show of her spangly purse to her pal while simultaneously out-Princing the official Prince tribute performer, Bruno Mars. 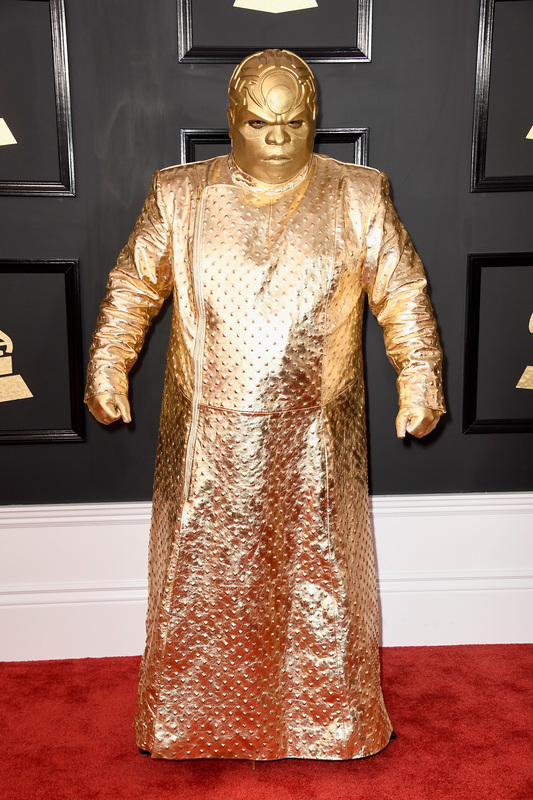 What were your favourite moments from the Grammys? Tell us in the comments below!